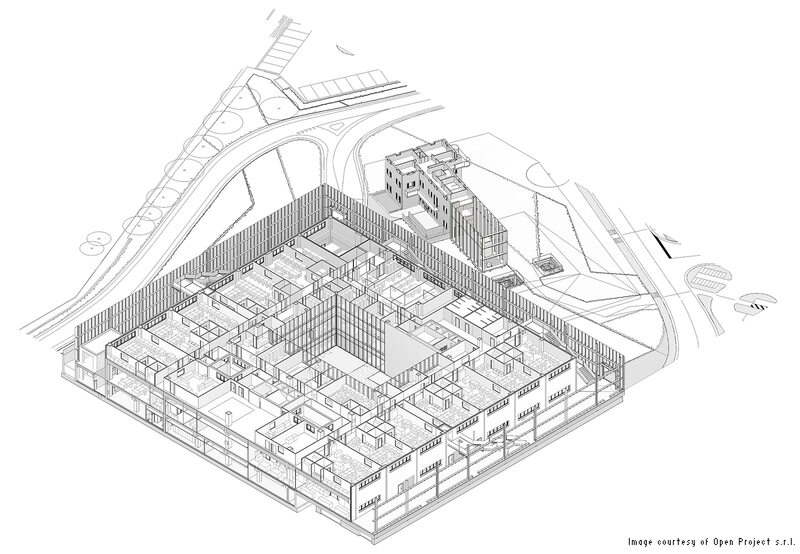 Architecture firms large and small have turned to Building Information Modeling (BIM) to connect with collaborators and enhance the quality of their designs. Some firms use the technology primarily for their portions of designs, without sharing their models or incorporating the work of other disciplines into a unified model. Other firms have realized that making BIM central to team building and information sharing delivers more value. Open Project—an architecture firm based in Bologna, Italy—decided that the new Bulgari Gioielli jewelry factory project demanded a model-based process that included the whole team’s contributions. 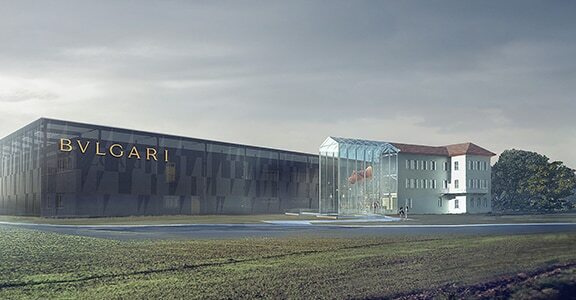 Located in Valenza, Italy, the Bulgari Gioielli factory will produce some of the world’s most sought-after jewelry. A new, advanced jewelry factory—which would be Europe’s largest jewelry factory and Italy’s largest LEED-certified factory—was the centerpiece of the venture. The project also included turning a 19th-century goldsmithy into the factory’s reception area and offices. Each of the connected buildings needed to harmonize visually, with the new factory reflecting today’s architectural style. Open Project and the rest of the team got started by modeling the project in BIM tools. It was the first time that most of the contributors had worked from an integrated intelligent model. But having a single model proved essential to the way that the structural, architectural, and MEP (mechanical, electrical, and plumbing) teams worked together. The combined team decided to use prefabricated structural components, which, although efficient and cost-effective, were not as flexible as custom. This meant that the dense forest of mechanical, electrical, hydraulic, and special plants systems required when processing precious metals had to be precisely organized to fit with structural constraints. To streamline delivery of the prefabricated elements, the team provided the building design model to the fabricator to assist in precasting the concrete portions of the structure. Referring to the integrated intelligent model, the team wove the complex systems around the structural elements. The team found that continuous coordination of plans, elevations, and sections flowed naturally, thanks to the model. Cloud-based services helped the team stay connected to each other’s work. The model proved so essential that when some specialty contributors delivered work produced with traditional 2D tools, Open Project took the time to add those elements to the model so that the core design and engineering team could easily account for them. The model’s intelligence also helped to advance the project—and enhance quality. 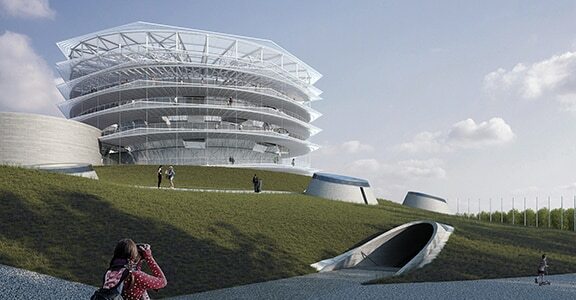 For instance, after analyzing the integrated model’s energy performance, the team decided to eliminate louvers from the building’s architectural skin because they didn’t improve performance. And when the company’s security team realized the model’s usefulness for visualizing the future factory, they used it to plan and optimize security camera placement. With the factory under construction, the team is still connected to the project model. 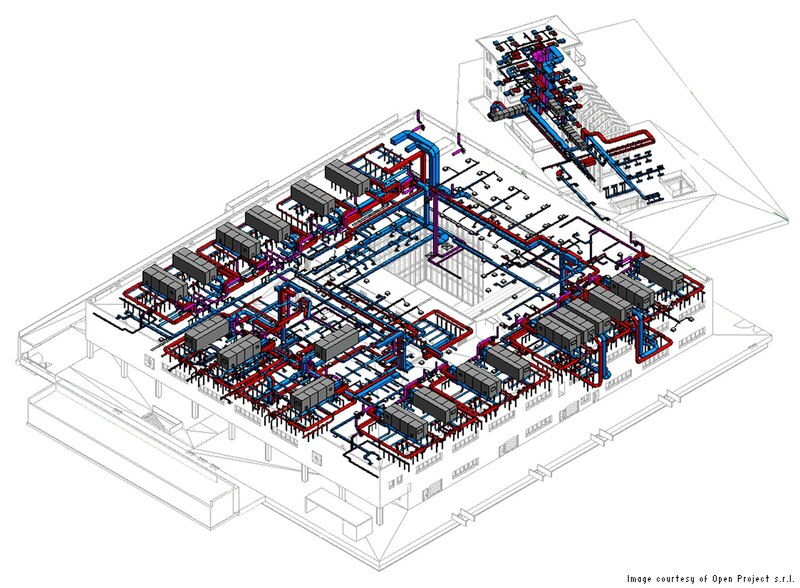 Cloud-based services along with model devices enable the construction team to visualize the model as they work. The project is advancing quickly—thanks to well-coordinated plans. And the project is on pace to meet its LEED® goals. Project team used BIM process and computational design to design the complex Samuel Chao Chung Ting Science Museum in just 3 months. 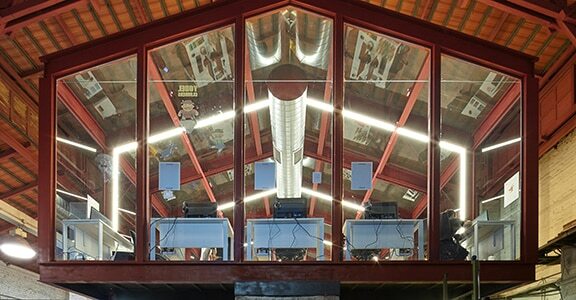 Geotectura Studio integrated laser-captured data into BIM workflows to create ultra-precise design for modern, eco-friendly interior while preserving the building’s beautiful exterior. 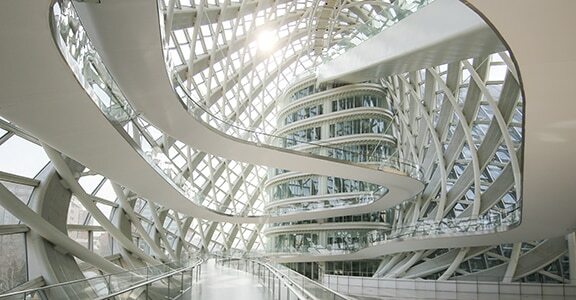 A China-based team uses BIM processes throughout a landmark project, gaining insight that led to better design choices. Europe’s largest jewelry factory comes together with the entire multidisciplinary project team using 3D models to help optimize building performance during design and operations.